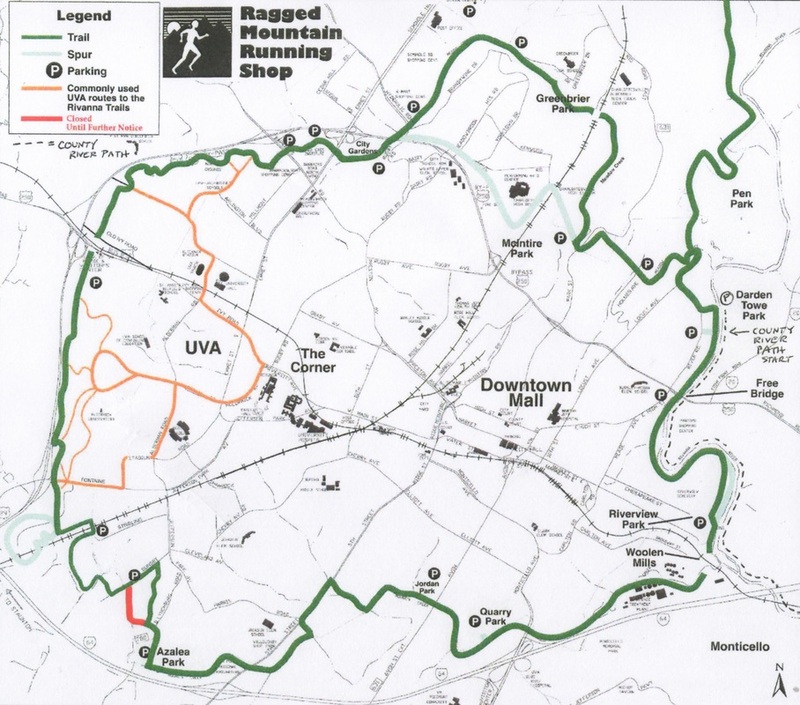 Charlottesville is home to one of the nation’s best urban trails systems, an almost completely uninterrupted 20 mile loop of soft surface paths that circle the city. The fine folks at the Rivanna Trails Foundation (RTF) have been volunteering their time throughout the year since 1992 to create and maintain this wonderful network of trails. A detailed hard copy pamphlet map of the entire RTF path system is also available for free at Ragged Mountain. Many thanks to all of our community neighbor property owners along the path. View RTF's interactive map or download PDF.